The Hoylake Golf Resort will be a flagship development which will create hundreds of jobs for local people and support businesses across the borough. As a globally-significant tourism and leisure attraction, it will support growth in our vibrant tourism economy and attract thousands of additional visitors to Wirral every year. Building on the success of the 2006 and 2014 British Open Championships at neighbouring Royal Liverpool Golf Club Hoylake, the Golf Resort will cement Wirral's leadership position with the international golf community, benefitting from the visitors, tourism revenues and global attention that recognition will bring with it. 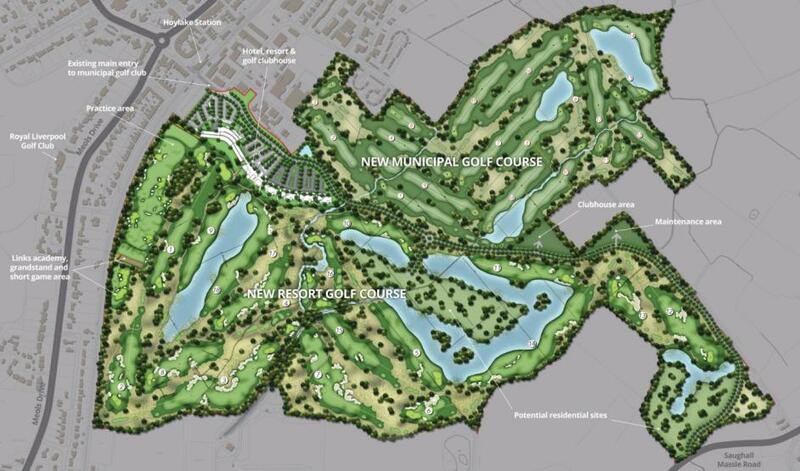 However, it is more than simply two new golf courses. Hoylake Golf Resort will be a key leisure destination with a high-end hotel, restaurants, spa and conference facilities. It will prove to be an attractive offer for international conferences and similar events. Working with partners with the expertise and reputation of Celtic Manor, arguably the strongest brand in golf hospitality today, and north-west based Story Homes means we are confident we will deliver a resort of the highest possible quality. This is another example of Wirral Council being commercial, ambitious and innovative. By using our resources and skills to secure major private sector investment into our borough, we will create jobs for residents and generate revenue for the Council. The revenue this development will generate each year – significant sums in council taxes and business rates – will be reinvested in supporting our frontline services, and will go some way to start replacing the funding Wirral has lost since austerity policies began in 2010. The public were invited to give feedback on the proposals and you can view the comments we received by downloading the document below. Although this was not part of the formal planning consultation process, which is planned to take place in around a year, they provided an opportunity to tell us what you think and to feed your comments and suggestions into the project design team. This web page will be updated with further information as the project moves forward. You can find out more information on the common questions about the Hoylake Golf Resort web page.